WikiLeaks attracted global attention with the publication in 2010 of a mass of confidential US government documents including diplomatic cables and damning video of US forces killing civilians and journalists in a mistaken attack in Iraq. From that moment, a computer geek instantly became an international talking point, supported by the stars, seen by many as a truth warrior. But while 2010 bought global attention, it also delivered the undoing of Julian Assange. On an earlier trip to Sweden he got to know two women who made complaints about his sexual behaviour. Swedish prosecutors wanted him extradited to their country to face questions about the allegations, which he strenuously denied. So began a protracted legal battle by his lawyers to keep him from being forced to comply with the Swedish request because he believed the Swedes would hand him over the Americans. I remember the first appearance at the Westminster Magistrates Court back in 2010. 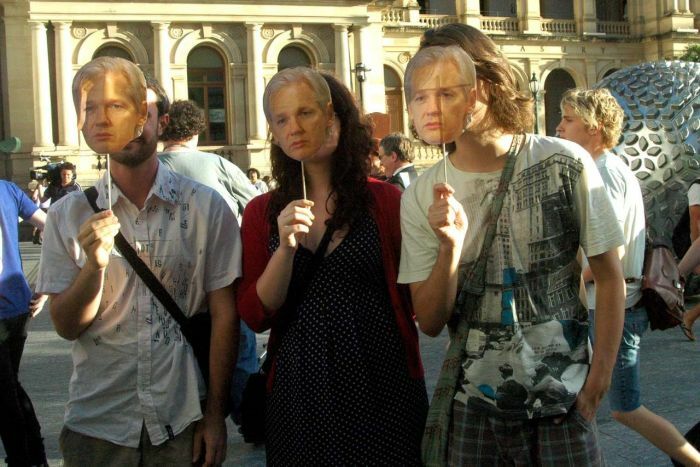 Assange was accompanied by several hundred supporters, including the rich and famous. There was a collective sense of outrage amongst his true believers that he was being victimised, punished for telling the truth. 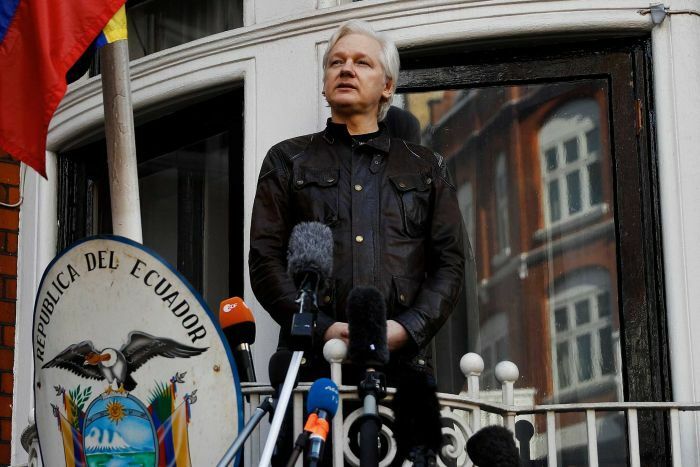 When his legal options ran out he broke bail and was granted asylum in the Ecuadorian embassy just behind Harrods department store in upmarket Knightsbridge. Occasionally he would address his supporters and the world’s media from a balcony at the embassy. But as the weeks became months, then years, the crowds thinned — interest in this very different man waned. And with a change of leadership in Quito, the patience of new President Lenin Moreno expired. He called time on the now unwanted lodger. 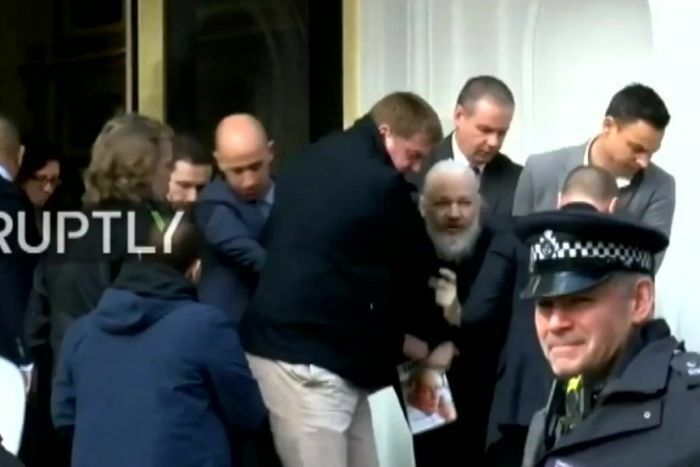 It was shocking to see how old, how unhealthy Mr Assange looked as he was dragged from the embassy and into a police van. I had been inside the embassy for interviews years before and he seemed all right then. In fact I used to joke if anyone was suitably equipped to spend time alone in darkened rooms with a computer and a cat for company, it was probably him. But his decline is not funny and his friends and legal team are very worried about his physical and, no doubt, his mental state. Assange was never an easy person to engage with. He could be testy, even belligerent. I remember in one interview suggesting his popularity might be waning. He was quick to say he was much more popular than the Australian prime minister, then Julia Gillard. But you didn’t have to warm to the man to recognise he was a newsmaker, a significant force in the digital world. And his legal arguments that he was simply exposing the truth to the test of sunlight haven’t changed. Life might have been easier for him if he’d developed better people skills, a touch more of the diplomat, and a dab more empathy for others’ views. But then he wouldn’t have been the man he is. Stubborn, committed and devastatingly effective with his computer craft. Now the scenario he had warned of for years could come to pass. The Americans do want him, have not forgotten or forgiven him, and he really could be sentenced to a very long time in a US prison. In the end, he lost the game of international politics. Certainly he wore out his welcome and the Ecuadorian President was happy to trade him away . Ever since he took to those small rooms behind Harrods all those years ago, control of his life was cede, in part, to others. Now a new reality; maybe a year in a British prison, then an unwanted flight to the US. What little say he did have in his life has all but disappeared. The confines of the Ecuadorian embassy may seem a paradise compared with what may lie ahead.